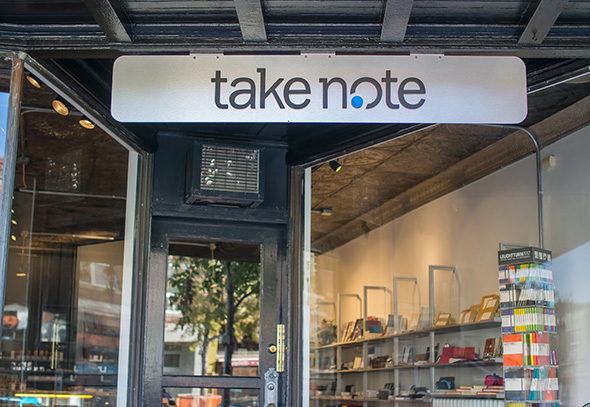 Take Note is a place for those who still appreciate putting pen and ink to paper. 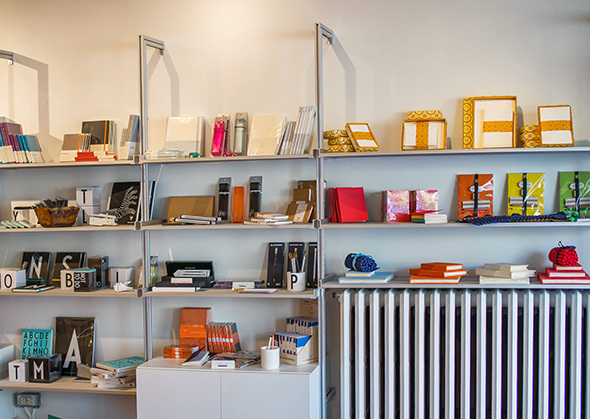 This niche pen and stationery store in the Junction offers a selection of writing instruments and accessories, paper products, and unique gift items. Owner Jolanta Petrycka has a background in fine arts and has always had a deep interest and passion for design and craftsmanship. Her store is not only beautifully laid out, but stocks some of the best products she has sourced from around the world. She tells me she appreciates all the fine details and intricacies that reveal themselves when you use a finely made pen, or run your hands through the texture and grain of great paper. "It makes the writing experience that much more involved and rewarding," she notes. Petrycka has called The Junction home for over 20 years now, and thinks there is really something energetic and raw about the neighborhood. She tells me there is a tremendous sense of community where art is central to the neighbourhood's existence. She has purposely tried to further extend this feeling into the doors of Take Note. 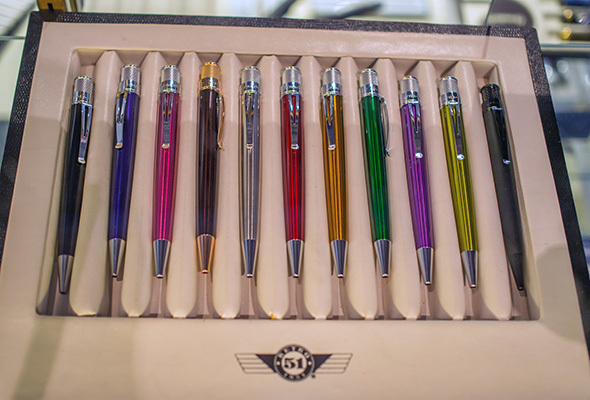 Most of the fixtures are from local shops - from the antique banker's desk that serves as the ink testing station - to the 1960's display case which houses the pens. Some of the interesting items Take Note carries include Rhodia from France, Italy's Fabriano , Leuchtturm1917 from Germany and Japan's Midori , Apica and Mnemosyne to name a few. 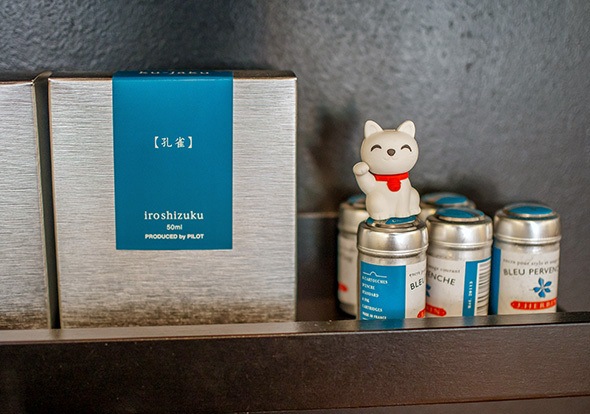 Other products include Design Letters by Arne Jacobsen, Mo Ma Tai ( a line of paper goods and small items from Holland) and many, many cards from small letterpress houses. 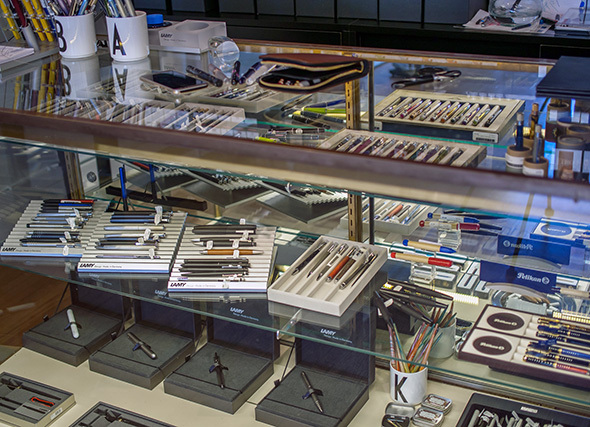 The store also features a wide selection of writing instruments ranging from the likes of Lamy - known for meshing high tech engineering and contemporary styling, to Pilot - loyal fans know about the precision-quality Japanese fine lines they are capable of. 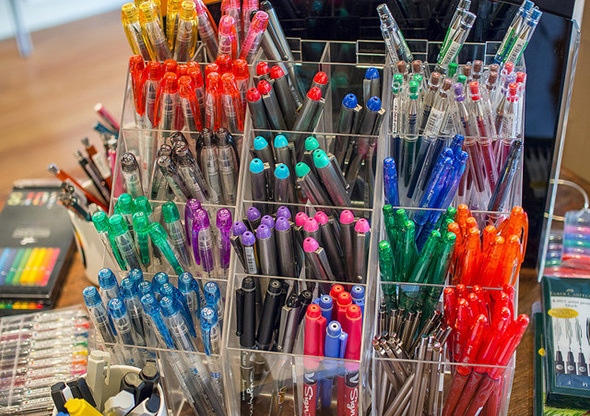 From ballpoint to fountain to rollerball - a host of writing needs are covered in the store. 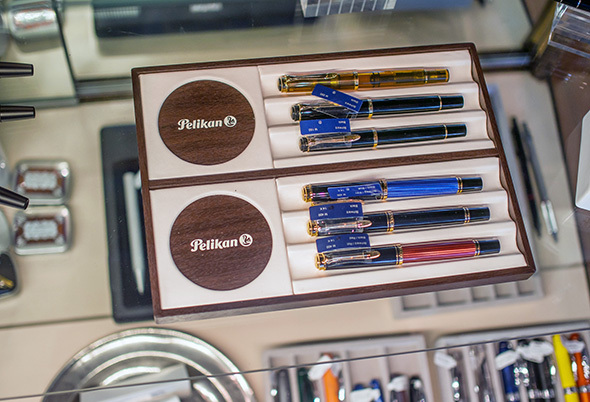 Well-respected brands like Sheaffer, Faber Castell, Pelikan, Platinum and Noodlers are also represented in the vast stock, which will make pen nerds very, very happy. Writing and photos Michelle Leung.